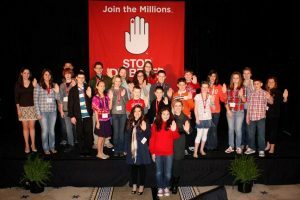 Youth advocates for the Call to Congress stood together, rising their hands in the gesture seen on the "Stop Diabetes" campaign posters. Photo courtesy Molly Kaplowitz. #1: Coping with diabetes is different for kids and teens than it is for adults. There were 28 youth advocates at the Call to Congress. Most of them had diabetes, and many wore insulin pumps. Before, I’d only really seen how my Mom handles having the disease (she has to give herself insulin shots four to six times a day). But I now see how hard it can be for kids to cope with diabetes in school, too. #2: Capitol Hill is a lot more interesting than you’d expect. There’s a network of tunnels underneath Capitol Hill. If you have the right security passes — like those for lobbyists — you can use them to get from one Congressional office building another. There’s also a mini-subway system that’ll take you back and forth between buildings. I got to ride along with Rep. Van Hollen as he took the elevator to a House vote. We also met John Larson (D-CT), the head of the Democratic Caucus, who fist-bumped one of the advocates in our group. 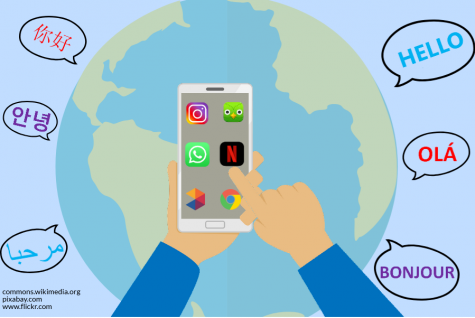 #3: Teens can have their voices heard. At the end of a press conference, Hunter Sego, a youth advocate from Indiana, quietly thanked Nancy Pelosi, the House Minority Leader, for helping to pass the healthcare reform. Pelosi then re-started the press conference, led Hunter to the podium and asked him to share his message with the national press. Because of the Healthcare Reform Act, people with pre-existing conditions like diabetes can now get health insurance more easily and affordably. After this incredible experience, I’m looking forward to my future advocacy efforts. I have plans for more lobbying, fundraising and getting my friends involved in a cause so close to my heart. I look forward to possibly making the trek from college next year, to join my advocates in support of the important cause of stopping diabetes.